Fighting Your Traffic Ticket Is Easier Than You Think! The Service Fee (less any amount the court has reduced your fine by and/or less any discount given at checkout) is refundable subject to our Terms & Conditions if your ticket is not dismissed. There’s no doubt about it, choosing to use our service is a no brain-er! If you need your documents sooner than two weeks, we can rush it for you for an additional fee. We’ll do whatever it takes to make sure you get everything in on time. Same Business Day -3 Business Days Rush Service $25 . 4-7 Business Days Rush Service $15. 8 Or More Business Days Rush Service No Extra Charge. How Do We Beat Traffic Tickets? Our system allows you to answer a series of questions related to your traffic ticket. Then our algorithms match your answers to our questions to the proper defenses that relate to your specific circumstances. You are then provided access to download and review all your defense documents and make changes if needed. We then provide you with instructions on exactly how to send your Trial by Written Declaration documents to the court to fight your traffic ticket. It may seem complicated, but when you’ve helped driver’s contest thousands of traffic tickets (and counting), using a Trial by Written Declaration, you get a pretty good idea about how to develop a system to do this effectively and successfully. 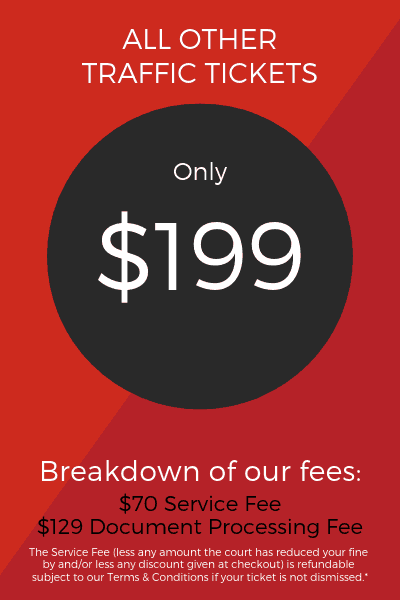 Our technology is all built into TicketBust pricing so you won’t see any hidden fees. What Happens After Trial by Written Declaration Succeeds? What Happens If a Ticket Isn’t Dismissed? The court process puts you right back where you started. 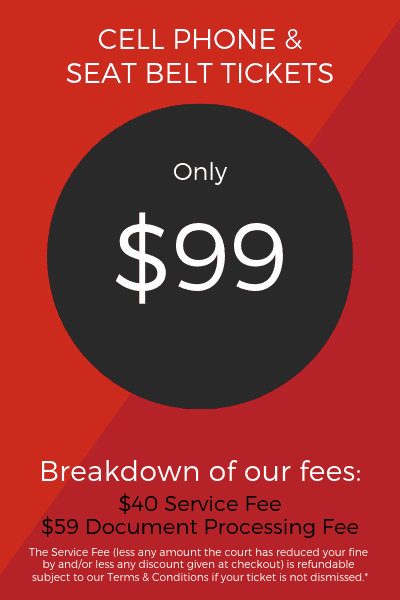 ticketbust.com even offers a service fee refund just in case your ticket is not dismissed (subject to TicketBust pricing terms and conditions).